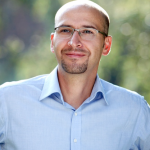 Marin Iliev has more than fifteen years of experience in venture capital, asset management, and financial services in the United States and Bulgaria. Most recently, Marin served as Investment Manager at NEVEQ, the first IT-focused venture capital fund in Southeastern Europe. He played a key role in formulating the investment strategy and executing all aspects of the investment process, including deal sourcing, negotiation and structuring. Marin was involved in the the closing of nine seed through expansion-stage deals, deploying more than $25 million. A start-up zealot, Marin is a very active member of the regional entrepreneurial community and frequently mentors founder teams, delivers university lectures, and judges business plan competitions. Previously, Marin was with Rosslyn, a Bulgarian private equity company syndicating investments across various sectors and stages, where he focused on early-stage information technology and renewable energy. Prior to that, he worked for EPIC, a leading regional corporate finance practice, advising foreign and local clients on mergers, acquisitions, private equity placements, and capital raises. Marin started his professional career at Scudder and Deutsche Bank Asset Management in the United States, where he was involved in investment analysis and portfolio management across asset classes and geographies, including Central and Eastern Europe. Marin holds a Bachelor’s degree in Business Administration from the American University in Bulgaria.